Photo courtesy of Penny Meyer / Creative Commons. A new online guide to water quality trading can help farms, utilities and other businesses cut pollution and restore U.S. waters to their swimmable, fishable best. Created by the National Network on Water Quality Trading, this reference work, Building a Water Quality Trading Program: Options and Considerations, helps stakeholders evaluate if trading is right for a particular watershed. It lists 11 key elements in trading program design, with examples, options, and clear pros and cons. Water quality trading is a tool that can account for watershed dynamics, allow flexibility in reaching water quality goals and target investment where it can most effectively improve water quality. While the 1972 Clean Water Act has made significant progress in cleaning U.S. rivers, lakes and oceans, more than half of our waterways still don’t meet clean water goals. Tools such as trading can help deliver clean water and foster vibrant communities. 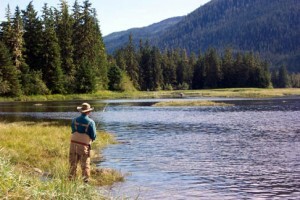 This market-based approach has the same goals as the Clean Water Act. It lets states and communities reimagine the role of regulatory compliance in cleaning up waterways. It deals with point sources of pollution — such as wastewater treatment plants — and non-point sources — such as agricultural lands — and offers flexibility in meeting pollution standards. 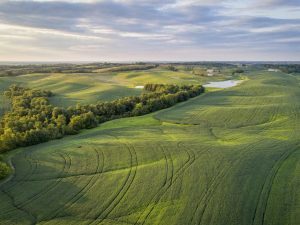 For example, farmers who can inexpensively reduce their water quality impacts can earn water quality credits, which they can sell to point source facilities. 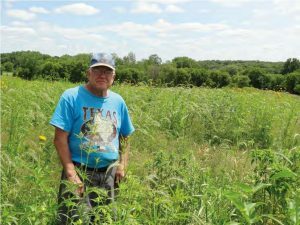 Trading programs bring together private landowners, federal and state agencies, and businesses, and provide incentives to encourage participation. While regulations vary from sector to sector – wastewater plant regulations are different from those that apply to farms — water quality trading lets them both move forward to clean up waterways at lower cost. Trading can also contribute to job growth, community participation and public health, while providing environmental benefits. Despite these benefits, establishing trading programs can be a challenge. Start-up is typically time-consuming, as stakeholders and regulatory agencies figure out how much pollution point and non-point sources must cut, how pollutants interact in different parts of the watershed, how to engage the public and other key components of program design. 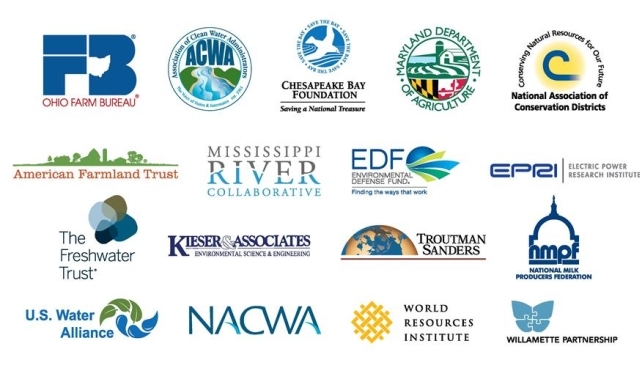 The National Network on Water Quality Trading’s 18 organizations represent a wide range of agricultural operations, wastewater utilities, environmental groups, regulatory agencies and trading program designers. Network participants attended workshops and provided line-for-line feedback to capture decades of experience to help new and existing trading programs overcome challenges and launch robust, effective programs. To improve current trading programs and help build new ones, the new guide offers options for calculating credits, determining trading eligibility and engaging stakeholders. 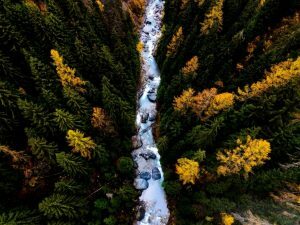 Examples, and clear pros and cons give local stakeholders the flexibility to address the scientific, social, and ecological realities of a particular watershed. Overall, the new guide is a resource for thoughtful program design that achieves transparency, integrity, credibility and rigor. The result is a faster, more approachable and less costly path to program design. Building a Water Quality Trading Program is meant to be a living document, incorporating improvements and updates as trading programs evolve. The National Network actively seeks feedback. Network members can offer support with lessons learned, examples and other information needed to build programs that will help meet a watershed’s clean water goals. 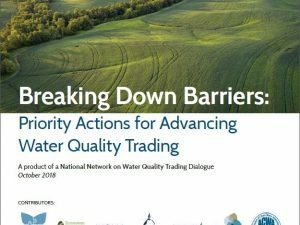 Building a Water Quality Trading Program: Options and Considerations is the product of collaboration and shared experiences from the National Network on Water Quality Trading’s 18 participating organizations. Contact the Network coordinators, Willamette Partnership and World Resources Institute, or any of the participating organizations. DISCLAIMER: The contributors to the National Network engaged in an extensive dialogue to develop the publication, Building a Water Quality Trading Program: Options and Considerations, and believe that it represents a comprehensive, contextual, balanced, and robust collection of information on different, representative water quality trading programs. New and evolving water quality trading programs should look to this document as an important source of information as they build and update their trading programs. This document does not represent a consensus opinion, endorsement, or particular recommendation from any one National Network contributor. It seeks to cover the broad range of topics related to water quality trading to assist local stakeholders to develop and implement trading frameworks that meet local needs and conditions. is document does not create any binding requirements or standards of practice. Ultimately, local stakeholders, state regulators, and/or U.S. EPA will clarify those requirements that apply to any particular trading programs or trading program participants.